Winter in Barcelona can be the perfect plan: Architecture, gastronomy, culture, beach and moreover, a day trip or a weekend to Ski! 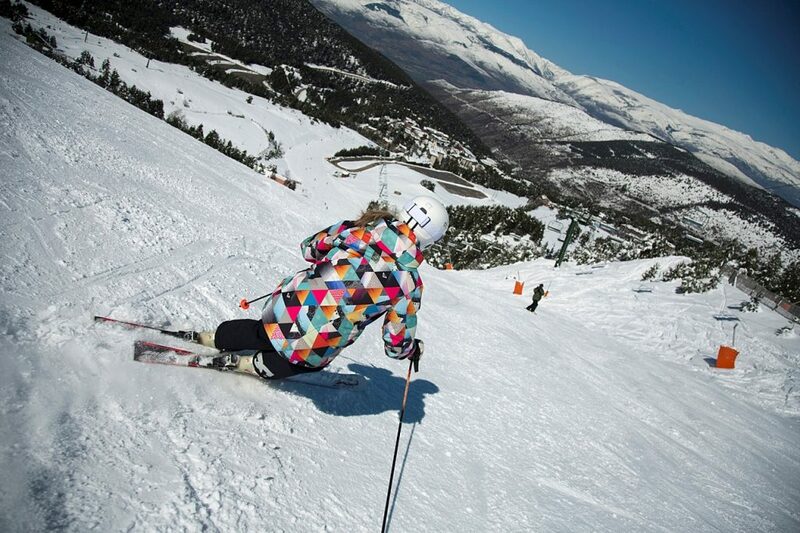 We´ve put together a list of Ski Resorts near Barcelona within a drive or train. Keep reading to know which are the most famos catalan ski resorts. Time to hit the slopes! Baqueira-Beret ski resort is the biggest ski resort in Spain and boasts a wealth of trendy clientele. Set in Vall d’Aran in the Pyrenees and with a whopping altitude of over 120km and 33 ski lifts, it´s well worth the four hour drive from Barcelona. Snowfall here is pretty heavy and consistent throughout the winter months and there is great skiing on offer for all levels, including some eye-popping black runs off the top of the 2516m peak of Tuc Deth Dossau. Baqueira-Beret has a wide variety of activities to suit your skitour Barcelona needs, such as ski classes or Heli-skiing, alpine skiing, snowboard, telemark, and Nordic. The apre-ski scene here is fab so after an energetic day on the slopes, you can reward yourself with a tipple or two! With an adult day ski pass costing 49 Euro it´s slightly pricier than some of the other resorts in the neighbouring areas but we think it´s well worth splashing out. Talking about Ski Resorts near Barcelona, If you are looking for something a little closer to Barcelona than a 4 hours ride, we highly recommend the resorts of La Molina (also accessible by train) and Masella. Both resorts are approximately a two hour drive from Barcelona. 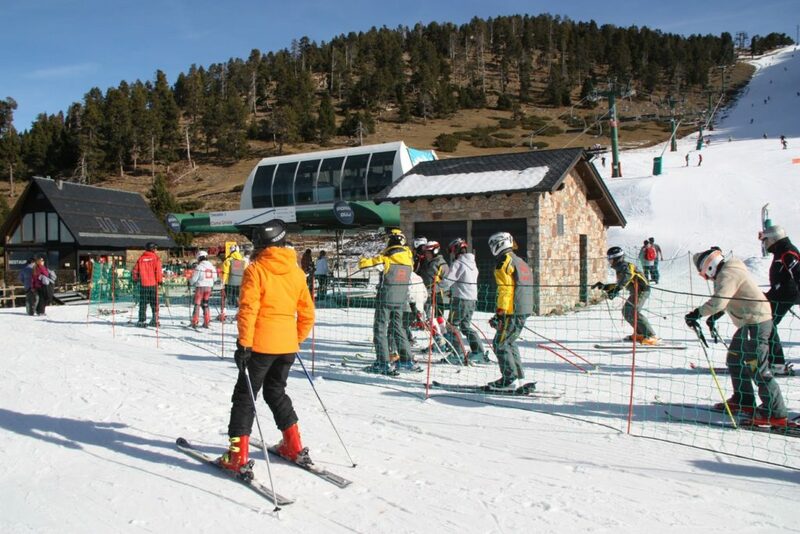 Spain´s oldest ski destination, La Molina, is the perfect spot for short ski breaks or even a day trip. It has around 67 kilometrers of ski-worthy slopes and also boasts additional activities such as ski Segway. However, if Apre-Ski is your thing, then perhaps this resort isn´t for you. It´s small and offers very few hotels (our favourite is Guitart Hotel La Molina Resort and Spa) but with a ski lift pass at around 40 Euro per day it won´t break the bank. 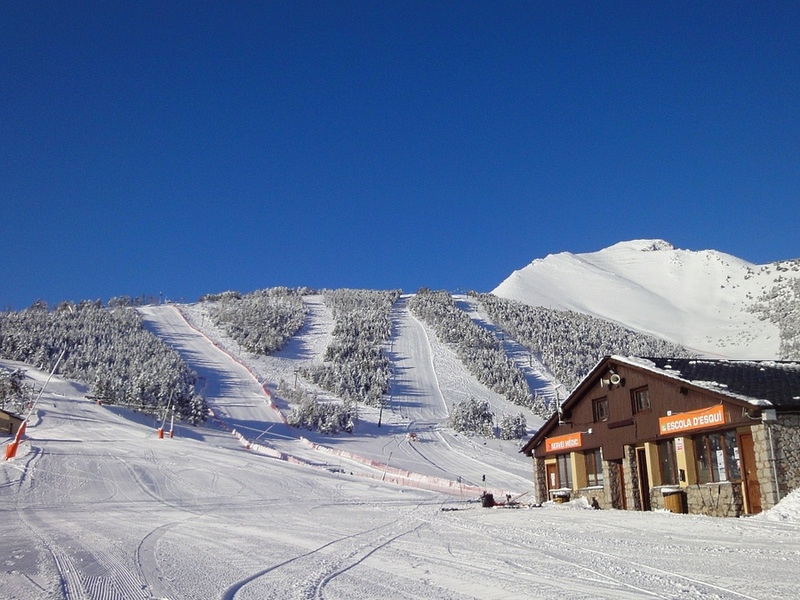 A Ski trip from Barcelona could also take you to the giddy heights of La Masella. Much like its neighbour, La Masella isn´t for those wishing to paint the town red after a day on the slopes. So whilst Masella is unlikely to satisfy the needs of party animals, it is easy to get to and offers over 70 kilometres of brilliant slopes. An adult day lift pass in peak season will only set you back 43 Euro, so we think it’s well worth a visit. If you are a pro, this is your ski resort: Grandvalira. 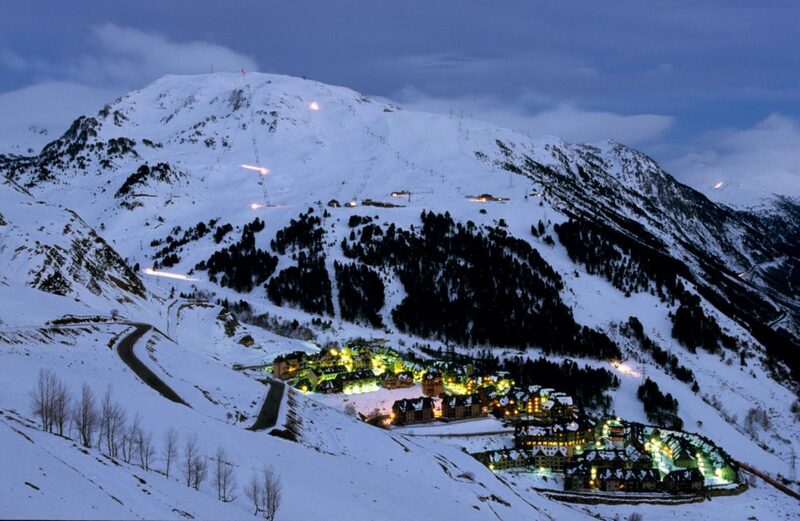 This resort, which is the biggest Ski area in Andorra, has 110 pistes and an enormous skiable area of 205 kilometres! With peaks in this areas averaging out at 2500, the views won´t fail to disappoint. You can get here by train or car and for the coolest accommodation, head to the nearby villages of Soldeu and El Tarter. An adult day lift pass here costs around 47 Euro. This small ski station in the Lleida Pyrenees mountains is part of SkiPallars (a ski pass for two separate stations). It features 22 ski runs spread across 22.5 Km, 6 lifts, a children’s park and facilities such as snow cannons and is only a 3 1/2 hour drive from Barcelona. There are several packages available, but an adult (beginner) pass starts from 18 Euro. Vall de Núria is a charming resort accessible only by a train which departs from Ribes de Freser. The journey itself makes Vall de Núria worth the visit as it covers 12.5Km and climbs a staggering 1,000 meters in around 40 minutes. 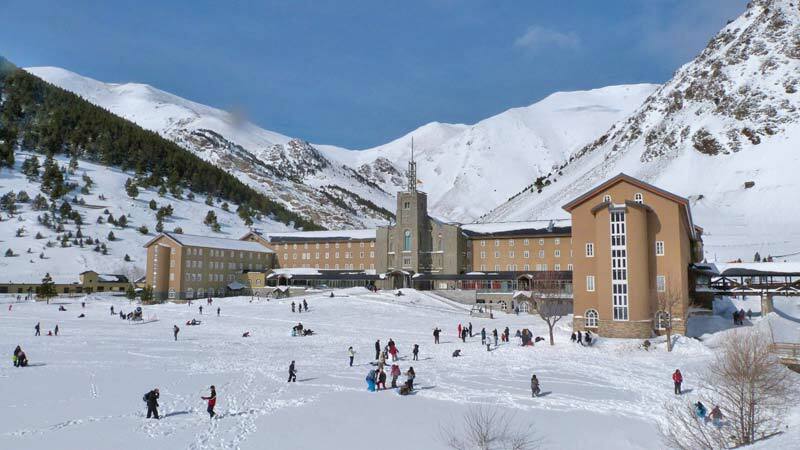 With 11 pistes catering for a variety of levels as well as a Children´s snow park, and amenities within the surrounding areas, Vall de Núria makes for an ideal ski getaway. There are various price packages available but a railway pass plus ski pass costs upwards of 27 Euro. So, ski fans, what are you waiting for? Hit the slopes and let’s Ski!